Do you know if and how your are impacted by Making Tax Digital? How can you help the business or sole trade? 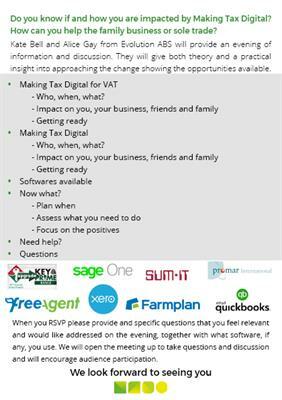 On Thursday 21st March we are pleased to be hosting a FREE Making Tax Digital seminar giving both theory and a practical insight into approaching the change and showing the opportunities available. Registration from 6pm with buffet on arrival. The event is open for everyone to attend. 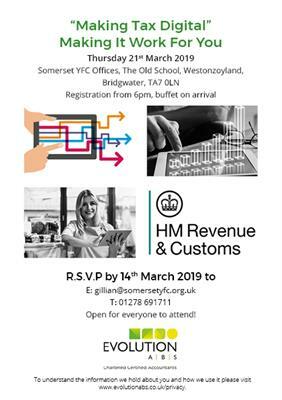 Somerset YFC Offices, The Old School, Westonzoyland, Bridgwater, TA7 0LN.